Parc Astérix is a theme amusement park in France, based on the comic book series Asterix (by Albert Uderzo and René Goscinny). With two million visitors yearly, Parc Asterix is the second theme park near Paris after Disneyland and its 11 million visitors yearly. It is situated approximately 35 km (22 mi) north of Paris, 32 km (20 mi) from Disneyland Paris and 20 km (12 mi) from the historic Château de Chantilly, in the commune of Plailly, in the département of Oise. Opened in 1989, the park is operated by Compagnie des Alpes. 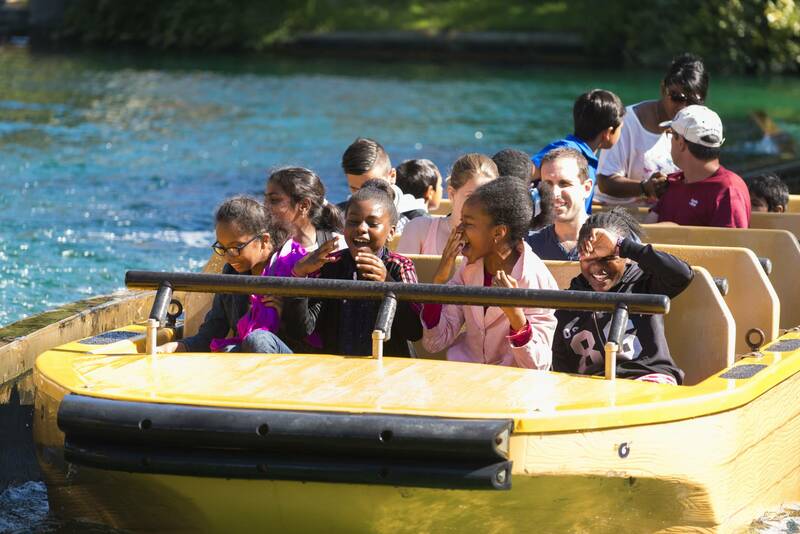 Largely funded by the Barclays financial company, with 20 other investors including Compagnie Générale des Eaux, the Havas group, Union des Assurances de Paris and the Picardy region, the park cost 850 million French francs to build at the time of its creation, which generated 1200 jobs. The location was chosen due to the transport network - a private interchange connects it with the nearby A1 autoroute and a bus shuttle service connects it with a line of the Métro. Jack Lang, then Minister for Culture, inaugurated the park on 30 April 1989 after two years of work. The opening of Disneyland Paris in 1992 impacted greatly on Parc Asterix - attendance fell by 30% and revenue fell by 19%. In 1997, Parc Asterix recorded 1.9 million visitors. In 1999, Parc Asterix recorded 2 million visitors. In October 2005, Parc Asterix ran "La Fête des Druides" ("The Festival of the Druids"), as a way to 'thumbing their noses' at Halloween. 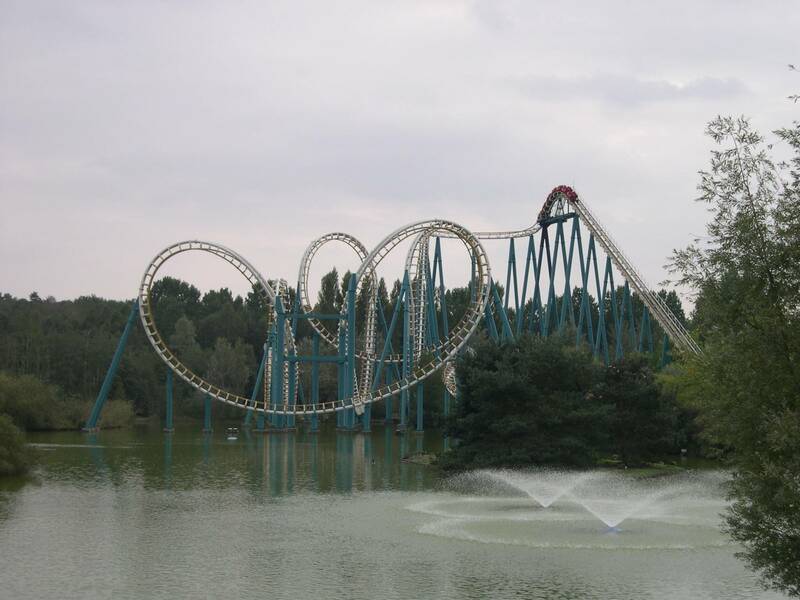 In 2007, Parc Asterix opened for the first time in its history during the Christmas holidays. In 2009, for the 20th anniversary of the park, Parc Asterix opened during the weekends in September and October and ran a Halloween event called "Peur sur le parc Astérix" ("Fear at Parc Asterix"). Tonnerre de Zeus, a large wooden roller coaster, built by Custom Coasters International (1997). Goudurix, a large steel multi-looping coaster, built by Vekoma (1989). Oxygénarium, a Spinning Rapids : large, twisting water slide with round inflatable dinghies (1999). Transdémonium, a ghost train filled with special effects (2003). La Trace du Hourra, a 900m bobsled roller coaster, with cars that reach 80 km/h (2001). La Galère, a swinging ship (1989). Menhir Express, a Menhir-themed log flume ride with a 13m high final drop (1995). Romus et Rapidus, a river rafting ride (1989). Le Delphinarium, one of the largest dolphin enclosures in Europe. Pégase Express, a steel roller coaster that reverses the ride direction after a pause halfway through the ride, built by Gerstlauer (2017). Parc Astérix | eTips Inc.